Good evening and thank you for coming to the opening ceremony of the Hong Kong Pavilion. Posidonia is a flagship event for the global shipping community. I first led a Hong Kong delegation to take part in this largest international shipping gathering two years ago, and it is a great pleasure to be back in Greece. A lot has indeed happened in the past two years. For Hong Kong, a major milestone is that we have lately set up a new maritime body, the Hong Kong Maritime and Port Board, of which I am Chairman. It is a high-level platform for the Government to work more closely with industry, to set the long-term development direction and strategy for the maritime and port sectors. Notwithstanding the global slowdown, the economic outlook for Asia, in particular China, remains positive even with its moderated growth rate. The new visionary Belt and Road Initiative announced by the Chinese Government last year will surely provide new impetus to global maritime activities. Much of the Initiative is about connectivity, trade and investment. New trade routes will emerge amongst the 60-plus economies along the twin corridors. Transportation nodes and maritime hubs will evolve and grow. 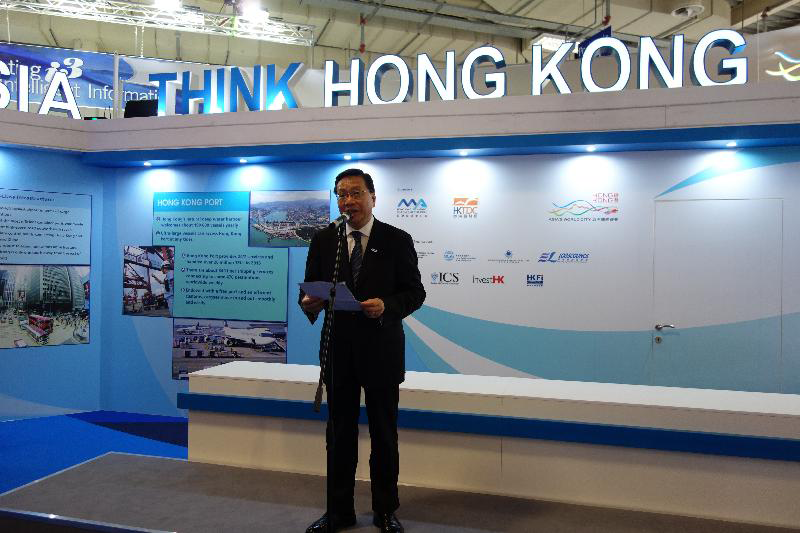 To grasp the new emerging opportunities in Asia, our proposition is "Think Asia, Think Hong Kong". Hong Kong is indeed fortunate to be an important node in the Belt and Road Initiative. We are known as a convenient place for business, a place where West meets East. We offer excellent connectivity at the heart of Asia and the doorstep of China through our efficient airport, sea port and land crossings. The rule of law is steadfastly upheld, guaranteeing a level playing field for all. We have one of the world's largest shipping communities and the strong presence of myriad maritime services covering ship agency, management, chartering and broking, finance, marine insurance as well as maritime legal and arbitration services. Setting up in Hong Kong allows you to gain an unmatched access to the fast-growing China and Asia markets. 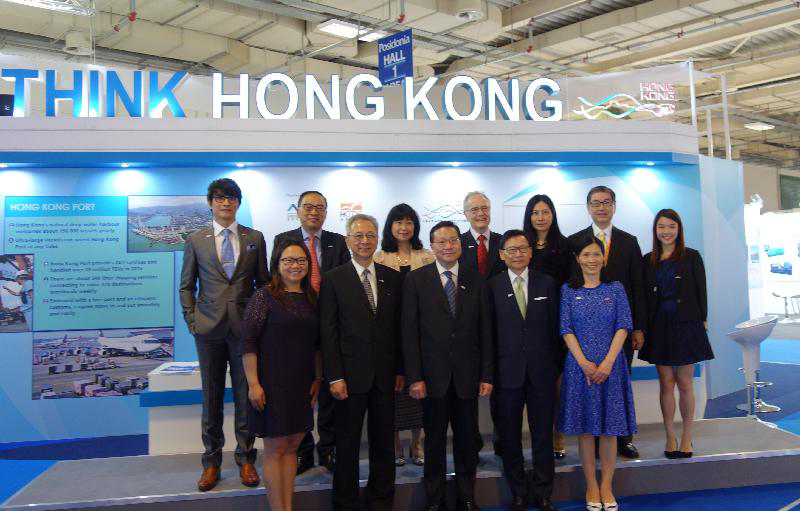 Ladies and gentlemen, despite your busy engagements in Posidonia, I hope you could take a tour at the Hong Kong Pavilion, and gain a snapshot of "Maritime Hong Kong". 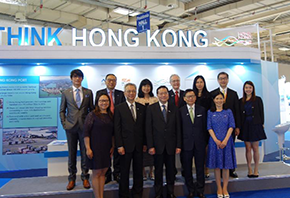 Colleagues from Invest Hong Kong and the Hong Kong Shipping Register are here to show you the ease of doing business in Hong Kong and our reputable ship registration service. Besides, Hostmost and PCCW Global are exhibiting their latest maritime IT and communications solutions. Before I conclude, may I extend my cordial invitation to all of you to the Sixth Asian Logistics and Maritime Conference (ALMC) to be held in Hong Kong on November 22 and 23 this year. The ALMC has become Hong Kong's signature regional event, attracting over 2 000 participants from 27 countries and regions last year. It is not to be missed! Finally, I wish Posidonia 2016 a great success. I look forward to meeting some of you again in Hong Kong.